When compared to the same weight of raw daikon, kiriboshi-daikon contains fifteen times more calcium to strengthen bones and teeth, 32 times more iron to prevent pernicious anemia, and ten times more vitamins B1 and B2 to support metabolism. Because the volume decreases to approximately one tenth when dried, kiriboshi-daikon is a more efficient way to absorb nutrients. As a rich source of dietary fiber, it improves digestion and promotes beautiful skin. Kiriboshi-daikon is effective in weight-loss diets because it gives a sense of fullness even in small quantities. It also works to restore liver and stomach functions weakened by hangover, and it mitigates sensitivity to cold through its heat insulating action. Kiriboshi-daikon was a valuable food in the past when fresh vegetables were not readily available. Today, it is desired as a food packed with the nutrients that many people lack. dried daikon and then carrot, adding salt. 2. Add shitake water to half the height of the ingredients. 3. Bring up to pressure and cook for 10 minutes. 4. Bring down pressure and carefully reduce most of the liquid. 5. Finish seasoning with shoyu if needed. I never paid much attention to dried daikon. It was one of those imported macrobiotic specialty foods that was hard to find. Where I lived, it had to be mail ordered. Besides, it was usually recommended in the books as a home remedy or special dish for specific conditions. So, I never viewed it as a regular food. It faded from use in my kitchen, and the two packages I had on hand, moved to the dark back corner of a kitchen drawer. Occasionally, over the years, I would encounter them while searching for something, and the dried daikon would look darker and unappealing as the years passed. 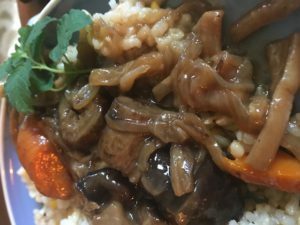 There also developed a general aversion in the macrobiotic community to the use of dried daikon, as some counselors would advise against its use, admonishing people that they were becoming “too yang,” and that dried daikon would only make them more so. 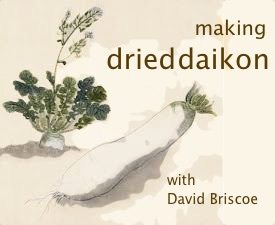 All in all dried daikon fell out of favor and was all but forgotten by most macrobiotic cooks. 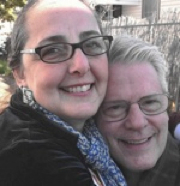 Some years ago, Cynthia and I set out on a mission to see how many of the imported macrobiotic foods we could make ourselves. So far we’ve made miso, natto, umeboshi, ume vinegar, ume ginger pickles, takuan rice bran pickles, brown rice syrup, shoyu, amasake, tempeh, naturally leavened bread. We had been inspired years before by our late, great cooking master, the inimitable and irreplaceable Cornellia Aihara. She taught that the spirit of macrobiotics encouraged us to make as many of our foods at home as possible, with local ingredients. So, at her Vega Study Center in California, students were very fortunate to learn from her how to make miso, shoyu, umeboshi and more. “What will you do if boat stops coming from Japan?” she would say. As it turned out, she was right. The boat didn’t stop coming from Japan, but the recent nuclear disaster there caused many outside of Japan to be very wary of eating imported Japanese foods. Some stopped eating them altogether. So, a few weeks ago, just when I thought I’d about made everything at home that had only been imported before, the idea popped up in my head: “Wait. Dried daikon!” And I began to research how it is made, its benefits, its nutritional make up…and, yes, I made some! Generally, dried daikon has been considered a winter food, and the drying was originally done to preserve daikon through the cold season. However, it’s not necessary to view dried daikon in such a limited light.n It can be enjoyed anytime of the year. And don’t worry, using it now and then won’r make you too yang. You’d have to use an awful lot of it, on a regular basis, to get such an effect! Some might say “Why bother?” Well, after you learn about dried daikon’s superior nutritional content, you might want to try it, too. On Father’s Day, we honor the men in our lives who lifted us up when we fell and raised us with the hope we would grow to be strong, happy, resilient functioning adults. These values and more were centerpiece in Herman Aihara’s teaching, and for that reason I celebrate Herman this Father’s Day. 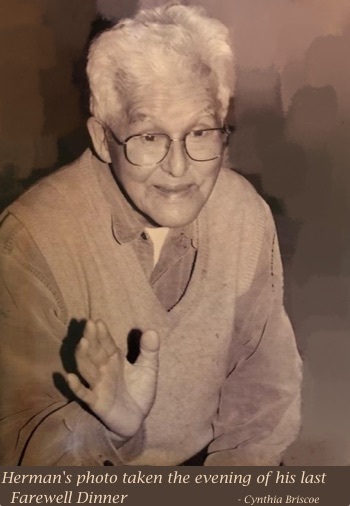 Through his dedication, hard work, wise counsel and thought-provoking teaching style, he helped raise many of us “macrobiotically”. Generationally, Herman was a key link in carrying forward the lineage of macrobiotic teaching for future generations. For those of you who spent time with Herman, I hope these words bring smiles of recognition to your face. For those of you who never met Herman, I hope these words bring smiles to your face as well and convey something of Herman’s teaching spirit. The last evening of every two-week program at the Vega Study Center, Herman and his wife, Cornellia, made it a point to join students and staff for the farewell celebration dinner. Many students passed through the Vega doors and many asked the same questions. Even though a hundred different students had asked Herman the same question, he still enthusiastically launched into an explanation as if this was the first time someone had posed this most interesting question. Herman had this way of understating something profound. He could ‘haiku’ a complex thought in very few words. He also had a habit of wrapping the words in a space large enough to magnify the thought. His teaching style was not one to aggressively launch into any immediate extrapolations. He would simply unmoor some dirigible thought and give it ample time to float around freely, watching to see where it might travel. During this silent intermission, Herman passed his attention around the dinner table as generously as the food. Each person’s eyes were a destination along the way as his gaze travelled around the table, his eyes inextricably lit like a smile tickled free from some child within. Revisiting that evening dinner and reflecting on it, Herman”s words still inspire me years later. I set forth these notions as an ongoing student with the caveat being that there is no solitary “correct” interpretation. I love it that Herman’s idea is still alive in its movement and evolution. So please carry your own thoughts forward. At night, when we pull down the shades on our windows, we also pull down the shades on our active daytime mind. When we sleep, our minds rest in the infinite field of conscious vibration letting rest the waking consciousness of everyday living in the relative world – the world of me and mine, everyday worries, the concerns and doubts born of the bifurcate world. At night, we lie in bed flat, receiving greater charge from the heavenly bodies. Our kidneys recharge. Our organs’ functions in general slow down to rest, cleanse and repair. Our discerning brains take a rest from daytime problem solving and logic. We exist more closely to our universal state of non-differentiation. As the sun rises, so do we. We stand up vertically like a pole. This position inherently creates a greater polarized charge. 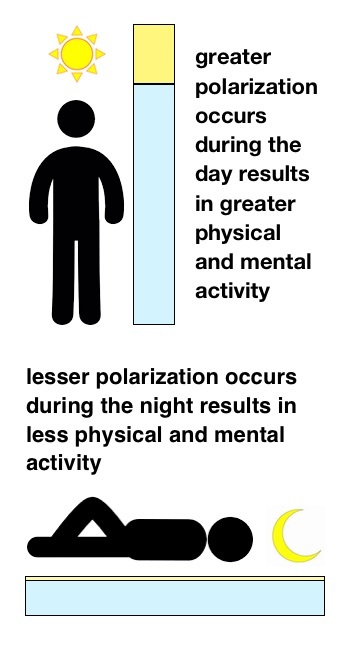 The greater the polarization, the greater movement between two poles, stimulating activity. Consequentially, we are more physically active during the day. Our brain is more activated as well. We function more so from our ego state as a separate human entity rather than collectively. Just to give a visual analogy, think of a vial filled with oil and water. Oil and water separate. In a vertical position, the demarcation of oil and water is very apparent. In a horizontal position, the oil and water separation is not as noticeable. In the illustration to the left, the yellow and blue are the same in square area pixel size, both in the vertical and horizontal representations. 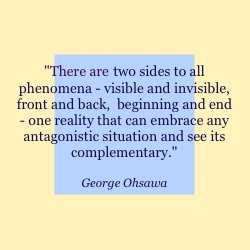 The Macrobiotic Guiding Principle is based upon the interplay of opposites. This interplay on a large scale originates from the influx of cosmic waves moving toward our planet, interacting dynamically with the energetic force spiraling outward from the earth’s rotation. Mixing up this energy in differing proportions of expanded and contracted energy waves gives rise to all phenomena as more dense physical form as well as non-physical form such as thoughts and feelings – indeed the whole playfulness of creation and consciousness. This exquisite notion of playful awareness perhaps best describes Herman’s countenance when he posed thoughts or questions. His smile transmitted a child’s wonderment at the playful miracle that we even exist. His eyebrows would lift higher on his forehead like the tops of two question marks facing off with eyes completing the dots. No doubt Herman resides in the infinite world. Perhaps now though, he leans forward gazing from Infinity to this finite world, bemused and still smiling. I like to think he still enjoys fishing, casting a line of thought in our direction. I’m certain that he comes to visit now and again in the minds of his students where his poignant questions and sage humor still live. He visits particularly when one is needing counsel. Or when one is searching for a guiding principle larger than oneself, or maybe just exploring the next bend in the river. I feel that little tug and smile. Have you heard the saying, “Love is in the eye of the beholder”? Perhaps this sentiment aptly applies to kukicha, aka twig tea. At first sight, twig tea appears to be just that, a pile of unappetizing, plain-Jane, stripped down, brown twigs. However, first appearances can be deceiving. Now, put on your ‘Ohsawa Magical Spectacles’ and examine the bigger view of these humble twigs. You too, will discover the beauty within.Did you know that when you drink tea, you are actuallly drinking camellia leaves? Below are two comparative photos of camellias. The flowers of camellia var: sinensis from which tea is made are not very flashy compared to many variations of camellia var: japonica that has been cultivated for its strikingly beautiful flowers. George Ohsawa was a pretty smart guy to recommend kukicha as a daily beverage for macrobiotic practice. Partly, this judgment was historically based, but primarily the judgment was based on macrobiotic principles. Historically, tea has been consumed in China for 5,000 thousand plus years. In the beginning, tea was consumed as a medicinal beverage. Tea consumption was brought to the forefront according to one legend, by the Chinese Emperor Shen Nung in 2737BC. At first it was recommended to drink tea instead of wine. In 600-800AD travelling monks introduced tea to Japan and Korea. Over these thousands of years, tea production and consumption grew into a fine art and is even celebrated in rituals such as the famous Japanese tea ceremony. Variations in growing methods, harvesting, aging and processing developed to produce unique flavors, qualities and types of tea. The highest grade of green tea comes from pinching off of the first new buds and tender leaves showing after winter dormancy. Only the leaf bud tip with its two new leaves were taken. Originally, this tea was reserved for emperors. These outer tips represent the more yin part of the plant due to their peripheral location on the tea bush. (Peripheral location is considered more yin, or expanded energy expression.) Rapid growth is yet another yin quality. These new buds and leaves are highest in vitamin C and caffeine, both of which are more yin quality components. Subsequent leaves and flushes of growth are harvested, processed and sold. Tea farmers often could not afford to lose profit by consuming valuable tea leaves for themselves, so they began trimming the small branches after the leaves had been harvested and made tea for their personal use from the twigs. They steamed, dried, aged and roasted the twigs. Hence, twig tea, or kukicha, was nicknamed “peasant tea” and generally snubbed as a poor-man’s tea. Yet this was the tea George Ohsawa chose as a healthy, daily beverage for macrobiotic consumption. Why did he choose kukicha over the myriad other teas available? Let’s put on our ‘magical spectacles’ and let’s look at twig tea from a macrobiotic point of view. Twig tea is more balanced in terms of yin and yang because twigs are less yin than leaves. Ohsawa observed that daily consumption of concentrated yin could be harmful to health. Kukicha is also known as ‘three year tea’. This means that traditionally, the twig trimmings are from three-year growth on the tea bush. This older growth also reduces caffeine in the twigs. The negligible amount of caffeine in the twigs is further reduced by slow roasting. Also, the twigs are harvested during the fall when there is less caffeine present in the above ground plant. Therefore, twig tea can be consumed any time of day, even before bedtime, or given to young children. If infants need hydration beyond mother’s milk, they may be given diluted, very light twig tea. Twigs contain less tannin than the leaves. 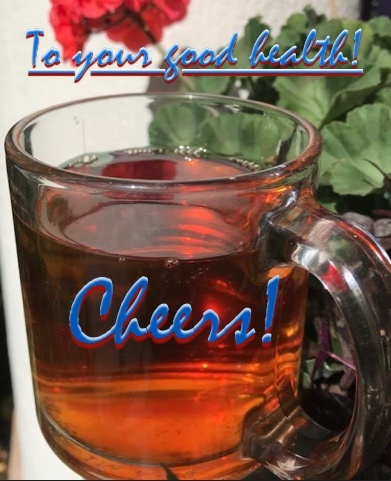 Some tannin, which is astringent, can be beneficial, but the high amounts tannins in regular teas can be drying and too harsh for those with a sensitive stomach. In the old style of growing, tea bushes were shaded for 21 days prior to harvest. This coaxed the tea bushes to increase chlorophyll production by reducing leaf photosynthesis. Lack of photosynthesis increases the production of the amino acid theanine, a component that induces relaxation and at the same time improves cognitive focus. Theanine can also repair liver damage, treat anxiety, high blood pressure and may be useful for preventing Alzheimer’s. Tea is the only natural, plant source of theanine and is highly water-soluble. Compare the chart of minerals contained in our bones with the mineral content of twig tea. No wonder drinking kukicha builds healthy bone tissue. Our bodies contain 2% calcium by weight! Calcium is the most abundant mineral in kukicha. Different sources say that kukicha contains 6-13 times more calcium than cow’s milk. This plant-based calcium is not accompanied by the acidifying lactose, fat, animal protein and bovine hormones of milk. 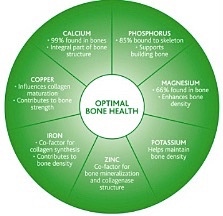 So kukicha actually builds healthy bones rather than contributing to osteoporosis as is happening through the consumption of cow’s milk, as reported in current research. Also aligned with healthy bone tissue and tooth enamel are the trace amounts of naturally occurring fluorine in twig tea. Flourine and calcium work hand-in-hand to build the hard, smooth, outer surfaces of bones and tooth enamel that are resistant to acid. Thus drinking kukicha helps prevent dental caries. What more could there be to love about kukicha? Aids digestion and helps prevent gastric ulcers. Improves skin health – acne, psoriasis, skin cancer, sun damage. Soothes the nervous system and enhances brain function. Prevention of certain types of cancer. Assists weight loss and weight management. Helps the liver and kidneys detox and eliminate waste. Contains 2 ½ times more vitamin C than oranges. 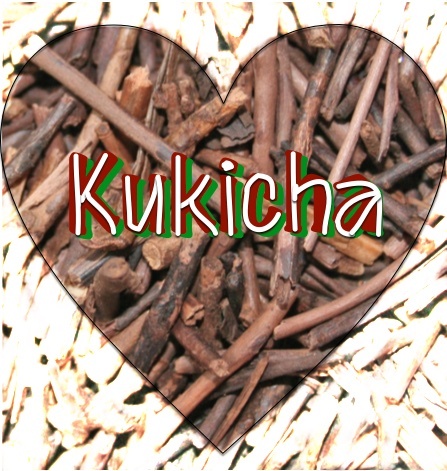 Kukicha heals the skin, but the true beauty of twig tea’s healing power is far more than just skin deep. Kukicha tea as part of a macrobiotic diet is a winning combination. David’s note: Some people have reported kukicha tea to be too strong, having a coffee-like stimulating effect, and also a drying effect. My observation has been that some of these individuals were making their kukicha tea way too concentrated. By making the tea lighter, more diluted, they were then able to avoid the reported effects. 1. Add the twigs to cold water in a pot or kettle. 2. Slowly bring the water to a steam, but do not boil. The surface of the water will emit steam, but there is no bubbling or boiling movement. Ideal temperature is about 180°F. If the twigs are boiled, the tea tastes bitter. 3. Continue cooking over low heat for 15-20 minutes. The longer cooking gives the twigs time to release their calcium and minerals. Most recipes say to simply steep for 3-4 minutes. However, this is not enough time to release the minerals. 4. Strain and drink hot, warm or room temperature. During hot summer months, the tea may be taken lightly chilled. Usually a cup of twig tea is recommended after a meal to aid digestion. This tea may be consumed any time of day. 5. Save the twigs. They may be re-used up to four times. If the tea becomes too weak, simply add a few more twigs to the pot. After the twigs are spent, discard the twigs in your garden or compost. Kukicha also comes in tea bags, which are convenient for travel or when outside the home. The loose twigs brewed at home are best though, because placing a tea bag in hot water cannot bring out the same mineral content as when preparing the loose twigs as above. She wears an exquisite sky-blue kimono patterned with crisscrossed bare twigs, like the leaded veins of a stained glass window. 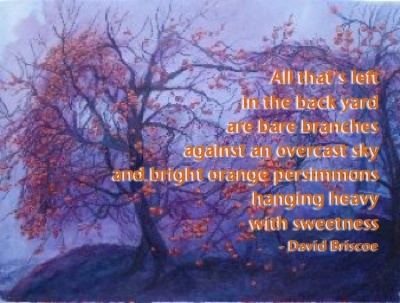 The twig and sky pattern compliment an overlay of deep orange fruit suspended like glowing ember-lit lanterns. She welcomes my adoration with generosity, offering a jewel-ripe fruit. This is her custom to all who come to admire her, birds and beasts alike. I snip the fruit free. Her apparel now has one less persimmon adorning it. The funny facial contortions elicit her laughter as well. She usually plays this joke only once. The initiation is well worth it though, as one quickly learns to read fully ripe signs and be rewarded with the delicious sweetness of her affection. Birds have no problem reading the signs. They know to peck at only the very softest fruit. 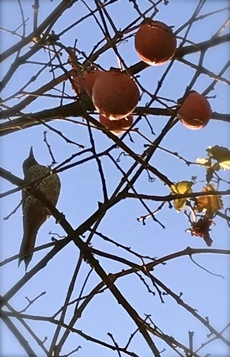 All sorts of birds flock to her branches to feast on ripe persimmons, adding and subtracting elements from her ever-changing kimono. 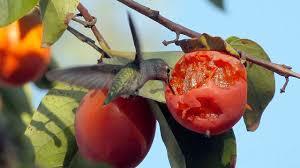 My favorite, though, are the hummingbirds’ darting beaks needling the ripe fruit like a delectable pincushion. After so many punctures and feedings, the fruit loosens from its mooring and splats on the ground below. None is wasted as the insects take over. 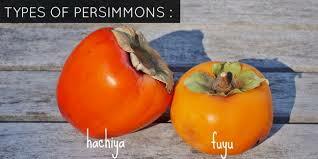 Because the persimmon color is such a rich, warm orange, one might think the fruit itself would be warming to eat. If you pick a soft, ripe persimmon from the tree, it is delicious indeed. However, you might curiously note that the fruit seems colder than the surrounding temperature. That’s because persimmon has a “cold” energy signature. Cornellia told me once that the emperor’s courtesans were forbidden to eat persimmon, especially when pregnant. She said the reason was because the cold energy of persimmon cools ‘the womb’ and if eaten in excess, could cause miscarriage. 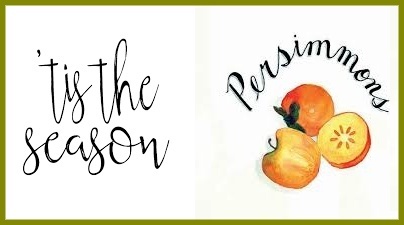 Does this mean that one should never eat persimmon? No, not necessarily. Just don’t overdo it. Eating more than two or three fresh persimmons could give you diarrhea! However, the cooling energy of this wintery fruit can be beneficial to ‘hot’ conditions like hemorrhoids, a hot, dry, barking cough, for dissolving internal blood clots, or treating hiccoughs and hangovers. The cold energy of persimmons can also be balanced through cooking and combining with warming combinations of ingredients. For example, cakes or cookies made with persimmon may be seasoned with warming spices such as cinnamon, clove, ginger or nutmeg. 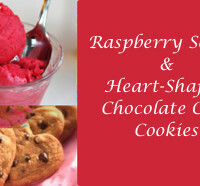 This is a delicious combination. In the fall, Cornellia would dry persimmons to use throughout the year. Some were used for cooking, some for pickling and some for medicine. Cornellia often kept me in supply of dried persimmon when our children were young, as she recommended dried persimmon tea for fevers in children. For New Year’s celebration, Cornellia frequently made a pressed salad with thin matchstick daikon and dried persimmon. My friend, Cynthia Vann, inspired the following plot, actually two plots. The first is a lush plot: a plot of shiso. And secondly, is a totally different kind of plot, a plot to counter pharmaceuticals. 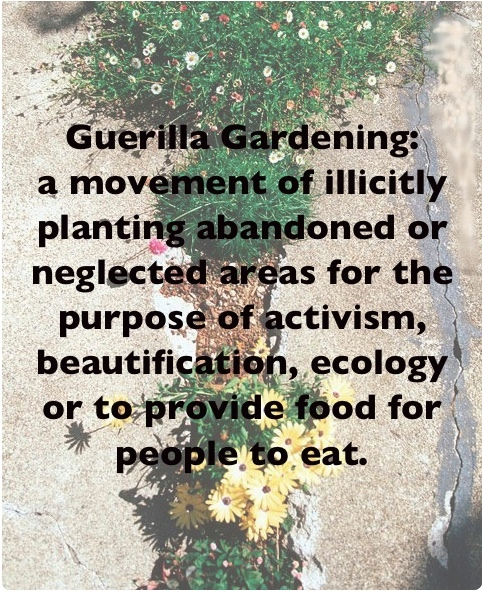 The guerilla gardener in me stirred and then with hairy knuckles began beating her chest and bellowing out a mighty Tarzan yodel. class. 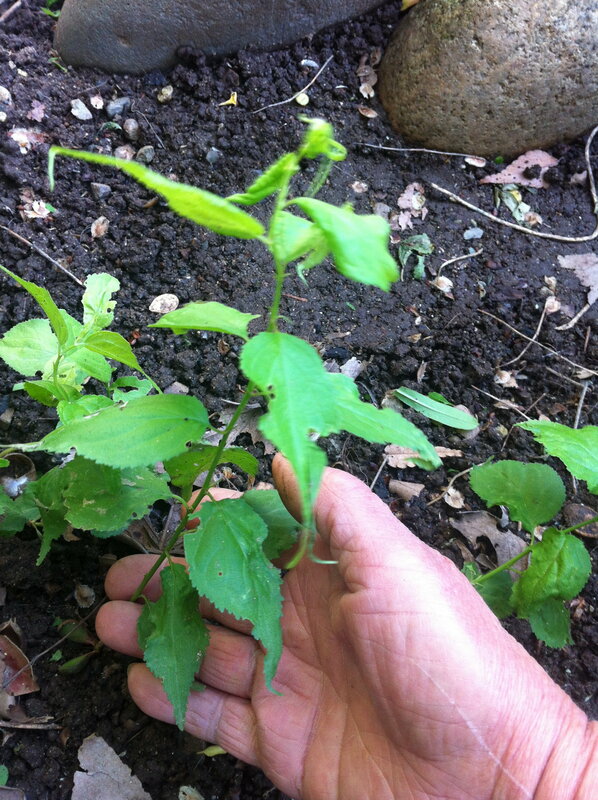 She chose to research shiso and sent a photo of her successful garden bed of purple shiso. California. My shiso plants have been small, and they bolt when the heat hits triple digits shortly into the growing season. Every year I have big dreams and high hopes for lush shiso plants. Each year I learn a new gardening lesson in growing shiso here in the Sacramento Valley. Two years ago I had semi success when another friend, Keiko, gave me some 6-inch shiso plants from her yard, both the purple and the green varieties. The plants grew large enough to supply shiso for some meals, but not enough to add to the large crocks of umeboshi in the basement longing for purple shiso. (Purple shiso is what gives the umeboshi its red color.) These plants grew nicely during our short spring, but as soon as the heat turned up, the plants bolted, flowered and busied themselves producing seeds. The leaves grew tough and not viable to add to the umeboshi. I saved seeds and tried again the next spring. Zillions of baby shiso “dicot” sprouts sprouted. However, when I checked them the next morning, there were none to be found! What happened? Like a good detective, I followed nearby pearlescent slimy trails to discover fat, satiated snails and slugs snoozing during the day in beds of shady vegetation. These ravenous, nocturnal stealth-grazers had acquired a gastronomical affinity for the complex flavor bouquet shiso offers with its bright minty/anise flavor. I couldn’t fault them for their good taste. I tried all kinds of snail foils – buried cans filled with stale beer, upside down flowerpots covering the baby shiso, and diatomaceous earth. I even had neighbors saving eggshells to crumble and surround plant perimeters. I began a campaign to catch and release buckets of snails collected during flashlight night patrols or after a rain. All these snail foils foiled. The snails tunneled under flowerpots, even when weighted with rocks on top. This was a lot of work because the pots would have to be removed during the day and replaced at night. I cut the tops off plastic pots thinking to avert their tunneling and pushed the pots deep into the soil. These acrobatic snails still managed to infiltrate. Eggshells and diatomaceous earth did not deter them. Relocating buckets of snails was not enough to counter their fertile reproduction. Maybe they were just extra healthy snails due to consumption of shiso! Here are some of the impressive health-giving qualities Cynthia Vann noted in her research. As you can see, shiso is a valuable medicinal food. Shiso is antiviral and selectively anti-bacterial. It eliminates pathogenic bacteria, while supporting commensal (beneficial) bacteria. Shiso protects against food poisoning. That’s why shiso leaves often garnish the plate for sashimi, just incase the fish is not the freshest. In some Asian countries, shiso is used to preserve food. Shiso has anti-inflammatory properties and protects against atherosclerosis and stroke. Shiso suppresses coughs, eases cold and flu symptoms, headaches, general nausea and morning sickness during pregnancy. Shiso reduces the severity of allergic reaction. When David and I lived in Kansas City before moving to California, Herman and Cornellia Aihara would come to Kansas City to teach and stay in our home. One morning, very early I went outside to find Cornellia with the cuffs of her Japanese trousers rolled up higher than the dew-ladened vegetation. She was happily picking a bouquet of something from one of the wooded areas of our yard. She was very excited and thrusted the plants toward my nose, shouting, “Shiso! Shiso! Lots of!” I had never heard of shiso. My first taste of shiso was what Cornellia served with breakfast that morning. She placed a small bit of white miso in the center of a shiso leaf and deftly bundled it into a neat little package. Then she sautéed the bundles to be eaten with bites of rice. So yummy! Here we had about a half-acre of shiso growing. I had walked over the plants for many years, because I had grown up in that house, as had my mother. But where did the shiso come from? If my grandfather had planted it, my mother would have taught me about it, as she loved to do with every other plant and tree on the property. Then someone told me that the many Chinese workers who had helped build railroads often planted, or scattered seeds along the railways to insure the availability of fresh shiso for their use. Indeed there was an abandoned railroad rite-of-way that traversed one side of the property. How amazing! This railroad was put in around the turn of the century and the shiso still lived on, having reseeded themselves after nearly a century. Last summer, I visited a dear friend who lives in a rural area 35 miles from Kansas City, near a small town named Tonganoxie. One day we went for a walk in the town park, as she wanted to know if I could identify a plant growing wild there. Lo and behold, it was shiso! The same rail line that once ran through my family’s property also continued on to run through Tonganoxie. Carol and I were both deeply impressed by the generational longevity of this plant with its quiet and determined strength to survive. The local rail line that once connected the dots of small rural towns surrounding Kansas City, Kansas for travelers to conduct business, visit relatives on the farm, or just go for a picnic in the countryside was long gone. A few curious linear segments of mounded earth that once supported timbered ties and steel rails and where coal cinders still wash up to the surface, remain in undeveloped areas such as our old home or the park in Tonganoxie. 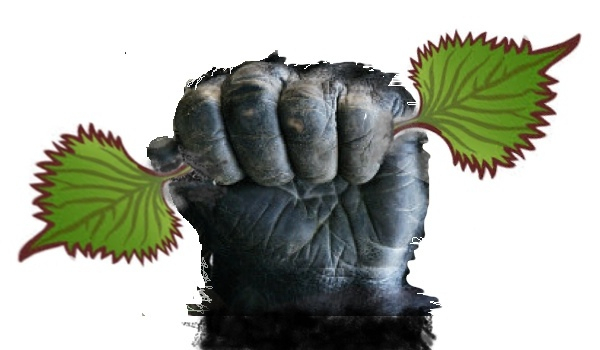 “Stronger than a steam-powered locomotive”, these surviving naturalized colonies of shiso plants bear witness, connecting the dots of history and this plant’s connection to humans. Perhaps that is why Asian culture also attributes this plant to longevity along with appreciation for its healthful qualities and culinary value. So when, Cynthia Vann offered to send me a package containing thousands of seeds from her shiso, it inspired the two-pronged plot mentioned earlier. To fulfill the first plot of growing shiso locally, I can now grow shiso in my garden to my hearts content…and even have enough for the snails to enjoy! And like the Chinese railworkers of bygone days, I’ll distribute some seeds along the railroad tracks or along the riverbanks here in Oroville. Then, if someone suffers a headache, nausea or food poisoning, they can simply take a walk along the river and pick their ‘food medicine’ and cook it up in a delicious meal. Thus, the second plot, the one to counter the pharmaceutical industry, might also succeed. Life lessons taught by an umeboshi pit. There’s a tiny spark, a potent intelligence that lies dormant, indestructible, despite all logic. It lies patiently coiled until the awakened moment when the serpent springs forth. I witnessed this phenomenon this spring – a lesson taught firsthand by an umeboshi. “What?” “Huh?” “What on earth are you talking about?” These might be some common responses to what I’ve written so far. Bear with me, and please be as patient an umeboshi, because you carry that same ‘Seed of a Seed’ that an umeboshi carries. Late winter-early spring 2017 erupted in chaos as the teeter-totter of extremes rebalanced. The past 5 years here in Northern California have been a period of extreme drought. Lake Oroville, that normally holds 3 ½ million cubic acres of water, had wasted to practically nothing. Then the drought ended with record rainfall. The 800-foot deep lake swelled to overfull, and the world’s 2nd largest earthen dam (2nd only to the Aswan Dam in Egypt) became compromised. The force of water released at 100,00 cubic feet per second tore loose the lower half of the aged main spillway. The lake filled beyond capacity and water gushed over a second, auxiliary, spillway (a non-reinforced hillside), washing away soil and threatening to unleash a 60-foot wall of water over the town below where we live. Mandatory evacuation was ordered. Folks had a frantic one-hour notice to locate family members, load up pets, valuables and emergency supplies. Evacuation routes were clogged with crawling traffic. Some poor souls were walking, carrying a few belongings in plastic grocery bags. No government plan was in place to assist elderly or disabled persons to leave. Emergency information was disorganized, unreliable and incomplete. The town once full of activity emptied. There was a palpable, eerie atmosphere of apocalyptic abandonment. A few bewildered cats left behind meowed in alleyways. Even the sound of birds was silenced. Folks clung to any local news conferences for information as to whether their homes would be safe or not. You could leave town, but not return, as incoming roads were blocked. It was an atmosphere of fear and shock. Unbeknownst to me, at the same time we were all caught up in the evacuation, a contrasting story of nature’s order and quiet strength was at play. Amid all the chaos, umeboshi pits were calmly swelling and sprouting, breaking free from their hard shells, in our backyard garden. These were no ordinary seeds. They had been pickled in 18% salt by weight and preserved since 1999! For those readers who have never heard of an umeboshi, let me briefly explain. Umeboshi is the very salty, very sour pickled fruit from an ume tree. Ume trees are highly respected and cherished in Eastern cultures. The trees flowering in spring are celebrated with the same admiration as we view the cherry blossoms in Washington, DC. The small apricot-looking fruit never becomes juicy or sweet. Even at its ripest, ume fruit remains very sour. Ume is harvested while still green, before it turns a blushing yellow. To make umeboshi, the fruit is layered with a whopping proportion of 18% sea salt to ume by weight for a minimum of 2 years. The resulting pickle, called umeboshi, holds great healing power. I sometimes refer to it as a “macrobiotic medicine cabinet”, as umeboshi remedies such a broad spectrum of ailments such as indigestion, diarrhea, hangovers, arthritis, headaches, shortens cold and flu cycles, sore throats, bladder infection, insomnia – the list goes on and on. George Ohsawa called the umeboshi “the King of Alkaline” and that perhaps is one of the main chemistry factors of an umeboshi’s outstanding healing capability. me orchard. Every year Cornellia Aihara and the staff would pickle a hundred pounds or so of umeboshi. At two stages in the two-year process of making umeboshi, the umeboshi are removed from the crock and spread single layer across flat baskets or bamboo mats for three days. Each individual umeboshi is hand-turned daily to further dry and concentrate the salt before returning to the crock. If some of the fruit used was a little overripe, the umeboshi meat slides off the pit. Those pits were discarded into the garden. Even though these pits were heavily salted for anywhere from 3 months to a year, we had umeboshi seedlings coming up around the perimeter of the property that escaped the lawnmower. ll be viable? Experience has proved this to be true on two additional occasions. I dug one of the Vega saplings and planted it at our home to honor the birth of our youngest daughter, Ana, in 1991. Cornellia told me that an ume tree grown from seed would take 15 years to bear fruit, while a grafted tree would take 8 years. I waited patiently as the years passed. The tree produced beautiful dark pink blossoms each year in early January, but has only produced a single ume fruit in 26 years. 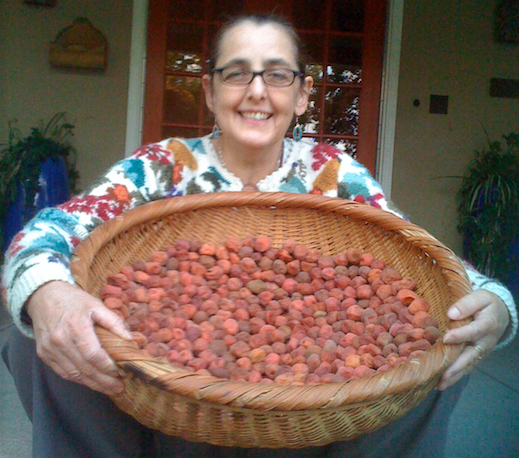 In 2008, I began making my own umeboshi. I too, discarded the salty pits from damaged umeboshi into the compost bin. 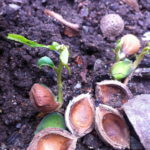 The next year after distributing the compost in various flower beds and flowerpots, many ume seedlings began to grow. 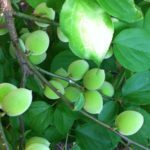 Even though I had my doubts whether any of these saplings would ever produce fruit, however I gave them free reign to grow wherever they chose. This was the second time I had witnessed pickled umeboshi pits sprouting. This year, to my great excitement, one of these 9 year-old trees flowered for the first tim e: a dancing petticoat of abundant white blossoms. I marveled and then forgot about it as the urgency of a flood evacuation took my attention away from ume blossoms. Sometime after returning home, I passed by the ume tree. It was now bare of blossoms. Wait! What? Can it be true? Yes! Tiny ume fruit had formed! 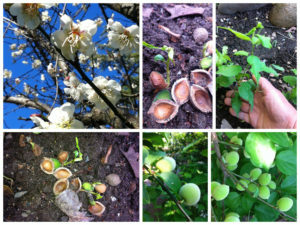 I was beside myself after waiting 26 years for “Ana’s ume tree” to set fruit. Yet here it was. Finally I had my own fruit-bearing ume tree. Somehow, even with all the constant rain, the bees had managed to pollinate the flowers and at last there were fruit! I bubbled, danced and immediately called David, who was working in Texas. I sent pictures as proof. I texted group announcements to our kids like a proud parent who had just given birth, as if I had anything to do with it. Then I noticed something else. What was that? Is it possible? There were about a dozen baby ume sprouts. To me, they looked strong and very proud of themselves. In my imagination they were ‘flexing their muscles’ after laboring to crack open the thick, hard shell in order to be born. Half shell casings littered the ground around the small trees. The smooth interiors of their half cradles now lay like empty sockets looking up to the sky. Each tiny tree stood with half an almond-like ‘placenta’ still attached on either side like saddlebags on a Harley. Then it dawned on me. These seedlings hatched from umeboshi made by Cornellia in 1999! Those were the only umeboshi we had eaten for the past 6 years. Someone had tossed the contents of the kitchen compost bucket over the garden fence rather than walking a few extra steps to empty the bucket into the main compost bin. This area of the garden had not been turned or worked for a few years. These particular umeboshi pits had sunbathed and baked in the hot sun during the drought. How could it be that 18-year old umeboshi pits hold their vitality and still sprout? 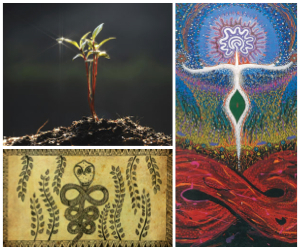 What is the potency of a “seed within a seed” that brings forth new life? If you have ever cracked open the hard pit from an umeboshi and eaten the small almond-like kernel inside, you know the kernel tastes salty. The salt does penetrate the hard shell casing. Evidently salt does not inhibit the fertility of the seed as these pickled pits still birthed baby ume trees. Once Cornellia and I were in the Vega Study Center basement, arm-deep in a 20-gallon crock, coaxing out umeboshi to transport to the kitchen. This task took some care and patience as the umeboshi were pressed tightly together. One had to “tickle” them out of the crock such that the individual umeboshi remained unbroken. Cornellia held one umeboshi up to admire it. She stated in a half whisper, “The Education God lives inside the ume pit.” For that reason, or perhaps out of respect, she advised, “That’s why we don’t eat the kernel inside the pit”. Often I had cracked through the pit, purposefully to unlock the treasure chest secreting the tasty little jewel inside. (Which by the way, I don’t advise just for the practical reason that the shell may be harder than your tooth and you might crack a tooth!) “Besides,” I had reasoned, “Eating the pit followed Cornellia’s Golden Rule of ‘no wasting’.” So even though I had not become a close acquaintance of the Education God, I now had been introduced. Just to be on the safe side, I stopped eating the inside of the umeboshi pit. Cornellia offered no further explanation regarding the Education God. She was never one to waste anything, including words. However, most likely at this moment, speech was impossible because the fat umeboshi she’d popped into her mouth blocked all word flow. Her puckered lips fought determinably to dam the swelling pool of saliva that a sour umeboshi draws forth. She promptly returned to fishing out more umeboshi. What? Huh? Education God? It made absolutely no sense to me, but it did pique my curiosity. Who was this guy living inside an umeboshi pit? Why would he want to live there? And how did he get in there? I assessed that Cornellia was certainly sincere in her statement. The intensity on her face and the focused reverent way she handled the umeboshi housing the Education God, left me with a question mark that I filed in my memory bank for pondering later. 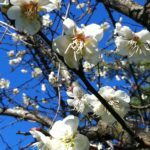 Then this spring when I discovered the tiny ume tree sprouted in the back yard from 18-year old umeboshi pits, I met the Education God face-to-face. I shook his hand when I touched the newborn leaves. It was an experience similar to staring at a newborn baby, being captivated by the simple rhythm of its breath, and marveling at the miracle of its pure existence. And then the question mark that had been stored in my brain, not unlike the living force encapsulated within an ume pit, began to shake and rumble and split. One big thought wave crested and then broke upon the shore. As the water pulled back to sea, there was an inundation of memory debris cast upon the beach: Cornellia’s face and her voice, baskets of umeboshi drying, salt and pickle crocks, white blossoms and fallen-petal-snowy-ground, cracked umeboshi pit casings, tiny green fruit and the sound of children running through the ume orchard during picking time. There was an inundation of memory debris cast widely upon the beach. The Education God participated in my thoughts. With even less words than Cornellia, in fact with no words at all, he taught. He paused my student mind to simply breathe – to arrest thought in a single inhalation of awe followed by a single exhalation of gratitude. The Education God was my only witness as I stood rooted to the ground. The earth’s generosity swelled upward, reaching upward toward cloud barges floating above, laden with sunlight and rain. The two forces danced together. The Education God was chuckling inside and outside at the cognizance of Intelligent Movement. I smiled back into the face of this Intelligent Being, the same who directed the encoded life spark within an 18-year-old umeboshi pit to awaken in perfect communication with the elements. 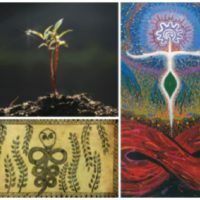 Education God, you have well-studied that invisible spark, the seed within a seed; that life force that weathers difficulty and quietly perseveres, resting within life’s cycles. Such Wisdom remains steady and fearless amid human chaos. Its patience weathers drought years, flooding and evacuation only to ignite and burst forth according to a timely intelligent plan. Education God, you rested collecting strength from many cycles of seasons and elemental forces: the wind, the rain, the sun, soil and water all having nourished your will to express life as you travel from the infinite to my back yard. You have gained wisdom during your travels and from the generations of your ‘ume people’. Since writing this article, an updated internet search revealed the historic origin of the ‘Education God’. Sugawara no Michizane lived from 845-903AD . He died in exile. He is revered as a renowned scholar, poet, teacher and politician who was politically maligned and thus fell out of favor with the emperor and was stripped of his titles. 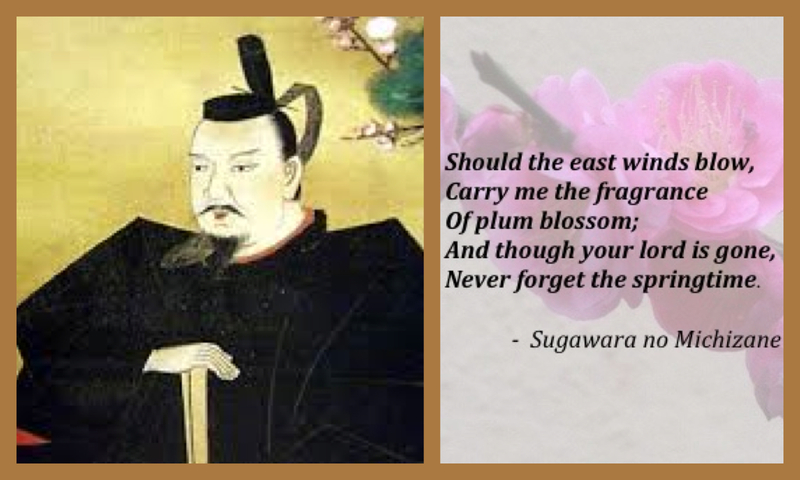 He is associated with the ume tree through poetry and legend. It is said that his favorite ume tree uprooted itself and flew to him in exile. Upon his death, his body was being transported by oxcart to Kyoto and the ox stopped at Tsukushi (now Hakata), refusing to travel further. This was taken as a sign that he desired to be buried there. A shrine was erected at this location to honor him as a Shinto kami, or deity, also known as Tenjin. Many students petition him for success in their studies and to pass exams.